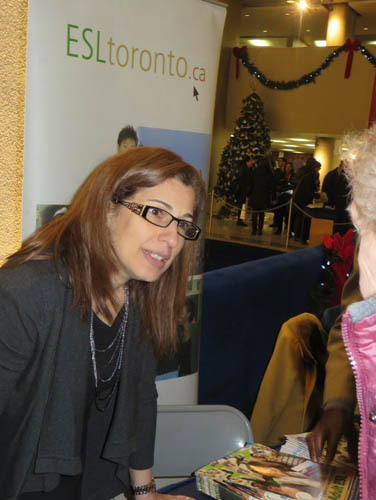 The Information Fair for Sponsors of Syrian Refugees brought out several hundred people to Toronto City Hall earlier this week. Many were eager to learn about the city’s many resources. 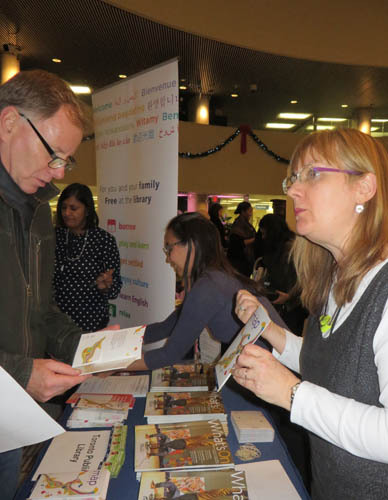 Volunteers and representatives from over 40 agencies gave out leaflets and answered questions. The event was very well organized. It was heartwarming to see so many Torontonians willing to help alleviate one of our world’s biggest refugee problems. Of course, the easy part is giving money to this project that will add over a thousand privately-sponsored Syrians to Toronto’s multicultural mix in the next few months. The hard part will be helping refugees who have been living for five years in refugee camps rebuild their lives in a new country. Toronto’s many volunteers have to learn themselves what agencies are available to help as they take the new arrivals in hand. They have to try to find them housing and jobs, and arrange for them to learn English and to fathom such things as our tax laws. Newcomers have to exercise patience. A representative of Toronto Housing said the wait time for subsidized housing can be up to 12 years. He suggested that people get their names on the waiting list immediately, now. The most popular table was that of Syrian Lifeline as prospective sponsors bombarded volunteers with questions. The services of course are not just for Syrian refugees but for refugees from all countries and for many Toronto residents in need. Lifeline Syria, which is the main group sponsoring refugees has already published a very helpful Sponsorship Handbook with research by Ryerson University students. It deals with such matters as how best to greet refugee families at the airport, finding jobs, and Wind Mobile’s offer of free mobile phone service (to the first 1000 families). Another Information Fair will be in Scarborough on Thursday December 17, 6-8pm, at 150 Borough Drive. Please register at http://refugeesponsorinfo.eventbrite.ca. For people who still have questions, I’ve listed the organizations and their websites. And there are more. Toronto Multicultural Calendar is compiling another list of helpful community resources like ethnic newspapers, radio stations, supermarkets, stores with traditional clothes, and Middle-Eastern festivals. If you are interested, please subscribe to our Blog above. 211. Information about health and support services, food assistance, housing and electricity help, disability support, and other newcomer services. 150+ languages: http://www.211toronto.ca. Turtle House Art/Play Centre: Art as therapy for children: www.turtlehouseartplaycentre.org. 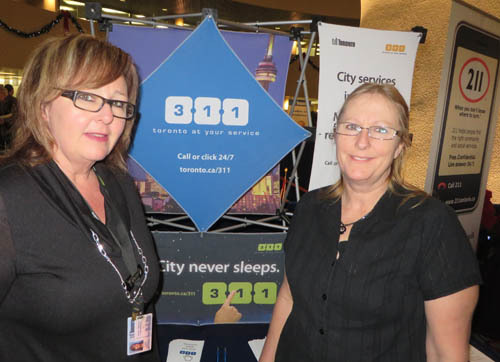 311. Information about free dental care, subsidized housing, marriage licenses, child care fee subsidies, emergency shelters, employment and financial assistance, etc.:www.Toronto.ca/employmentandsocialservices. Toronto Public Library – free literature in Arabic, use of computers with Internet access, programs on how to start a small business, English lessons, museum pass: www.torontopubliclibrary.ca .